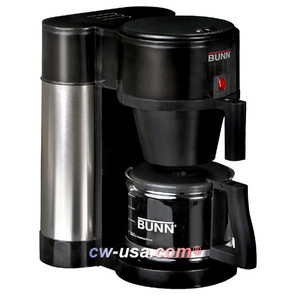 Bunn nhbx coffee pot is…awesome! Bunn nhbx coffee pot is awesome since i have had this coffee pot for a long time. That is why I am such a loyal fan of bunn because the coffee it provides are probably the best in the market as of this moment. Also speaking of durability, this coffee machine is very durable even when used everyday. Also, the coffee pot of bunn is probably the strongest coffee pot manufactured as these coffee pots are really durable to withstand most of the bumps for the counter of the sink. Thank is why through the years, I have become very loyal to Bunn coffee only. Join in and write your own page! It's easy to do. How? Simply click here to return to Coffee pot.